Thankfully, this doesn’t necessarily have to be the case! Let me start this by saying that I am normally a go-go-go kind of girl! 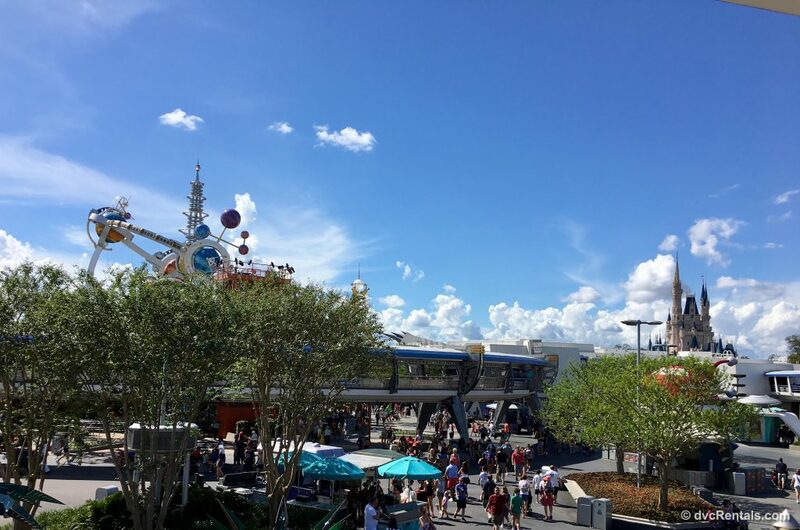 I want to be in the parks from rope drop to closing, and depending on that closing time, I may even pop over to Disney Springs afterwards for some extra shopping! 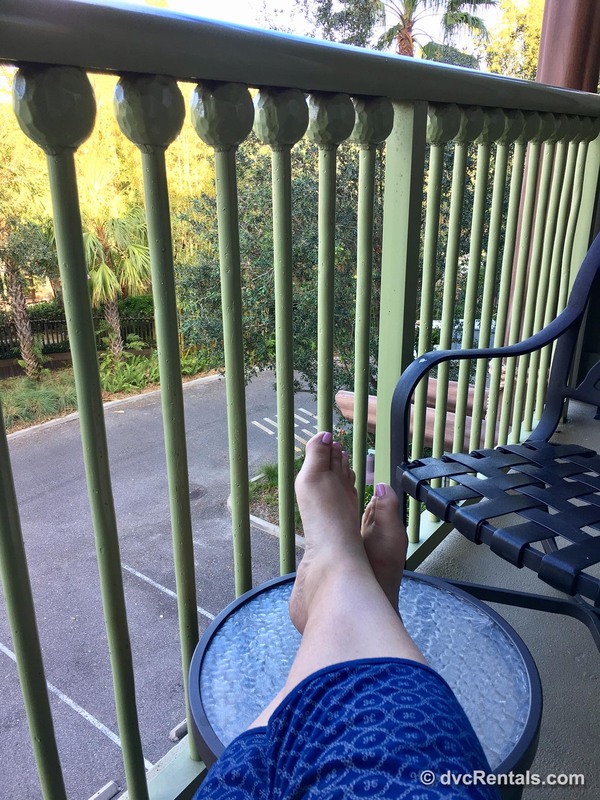 While I often travel with family or friends who like to head back to the resort midday for a break, this just isn’t my style and it is usually my mission to get in as much action in as I can! This plan of attack may not be so enjoyable if you’re visiting while feeling under the weather. Forcing yourself to fill every moment of your trip with a planned itinerary and not allowing yourself some rest and relaxation isn’t going to make you feel better any faster. 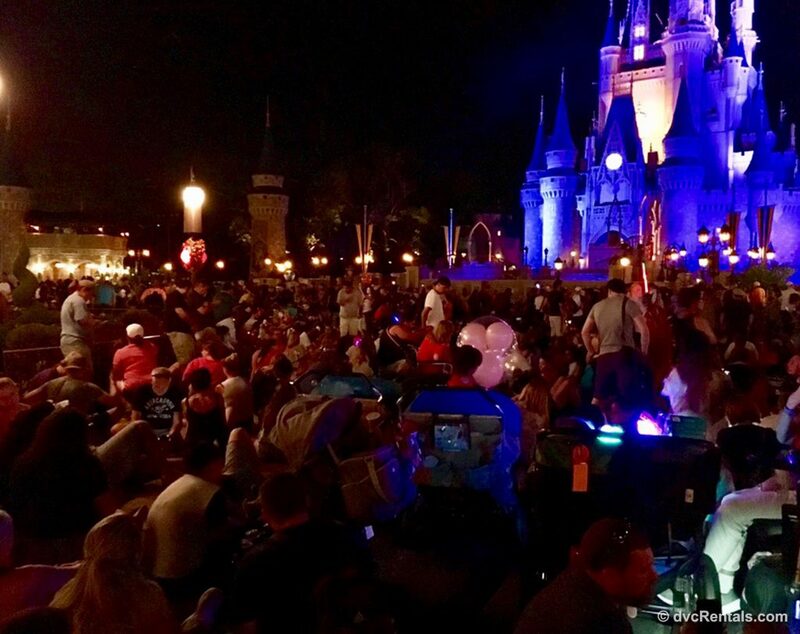 On a recent trip, our first night in the Magic Kingdom was quite crowded and incredibly hot. One of the shorter attraction wait times was 60 minutes for Space Mountain, and as this is a favorite of mine, when my companions asked if I wanted to wait I said yes without even thinking! I was overtired, had been coughing up a storm all day, and indulging in food and drinks I wouldn’t normally consume so wouldn’t you know it, after about 10 minutes in line my body let me know that a high-speed space flight was a terrible idea! I pushed myself back through the growing queue line and quickly made my way to get some water and headed to the nearest bench to sit down. 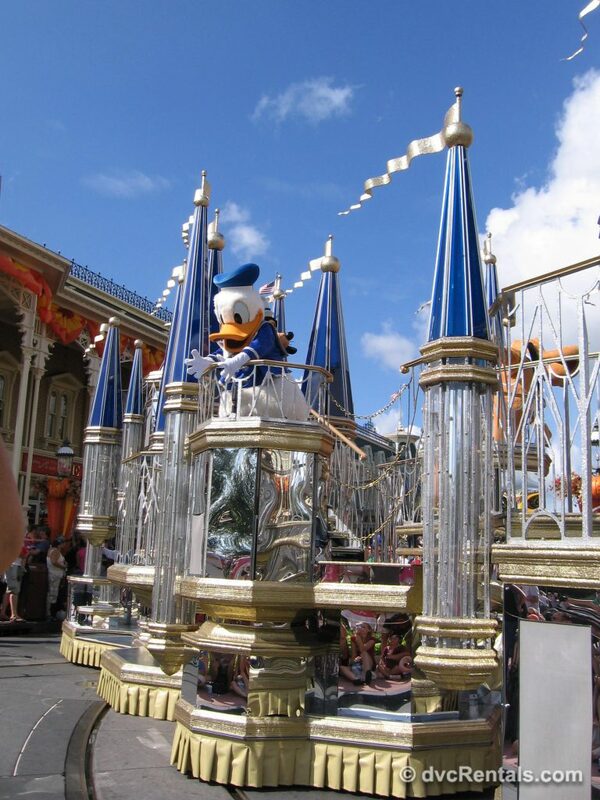 After my companions had flown through space without me, I said I would be fine to stay in the park and suggested we head back towards Main Street to find a spot for fireworks viewing. Just a couple minutes after snagging a spot and seeing the vastness of the growing crowd, I realized that this was probably a bad idea and we ultimately decided to call it a night. Heading back to the room early and getting a good night’s sleep helped me to have a better experience the next day. If we had stayed, I would have spent the whole time focused on not feeling well, and wouldn’t have enjoyed myself. 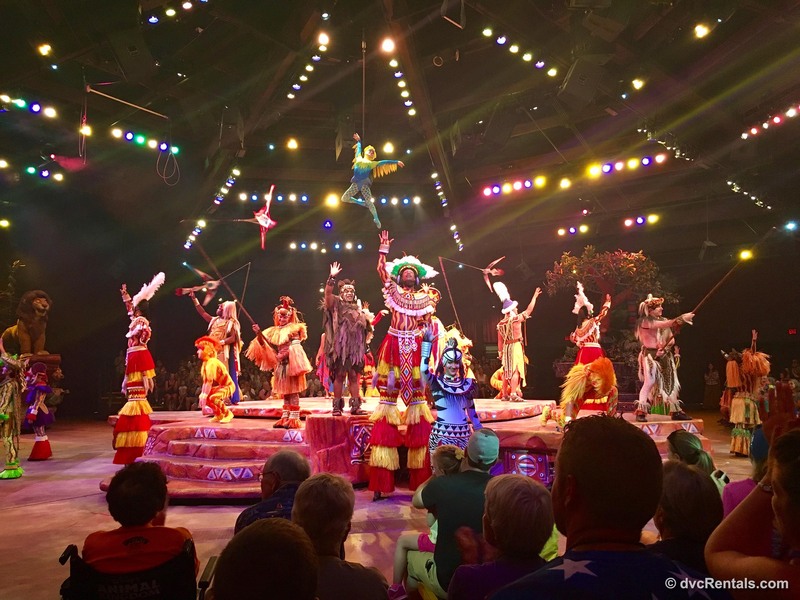 There are also many shows and attractions that offer a gentle (but still fun) experience for those times when you’re not up for rattling around on a roller coaster. 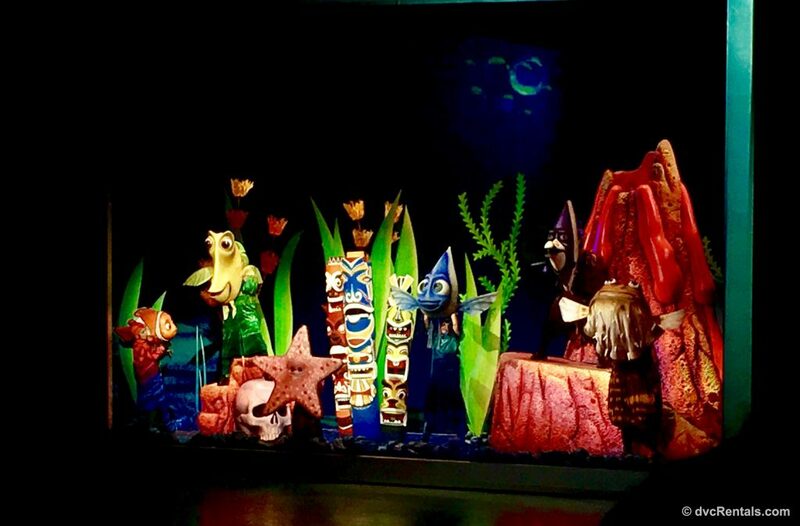 Attractions such as the Tomorrowland Transit Authority Peoplemover and Walt Disney’s Carousel of Progress at the Magic Kingdom, Living With The Land at Epcot, and the new Na’vi River Journey at Animal Kingdom’s Pandora are some of my top picks for a more low key ride experience. 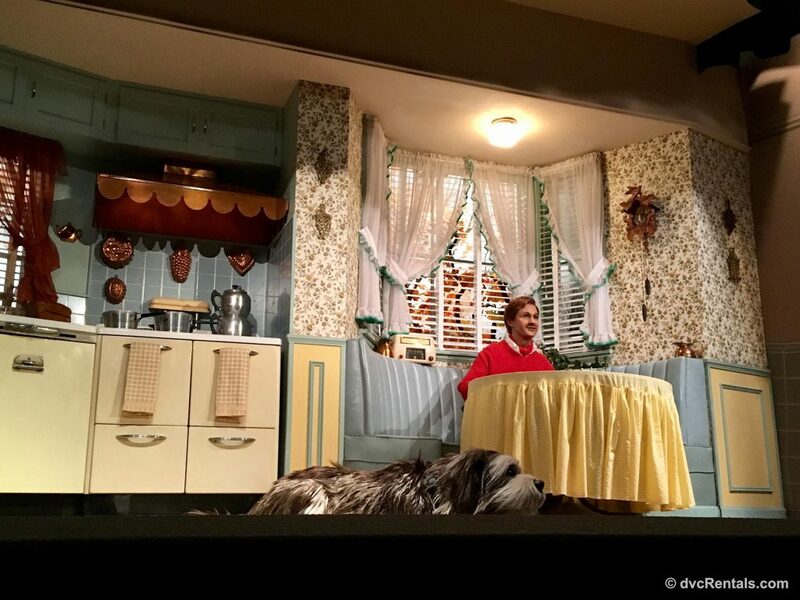 There are also several stage productions which offer show stopping entertainment which are a great way to break up a hectic park day. Beauty and The Beast Live on Stage (Hollywood Studios), and Mickey’s Royal Friendship Faire (Magic Kingdom) are fantastic. 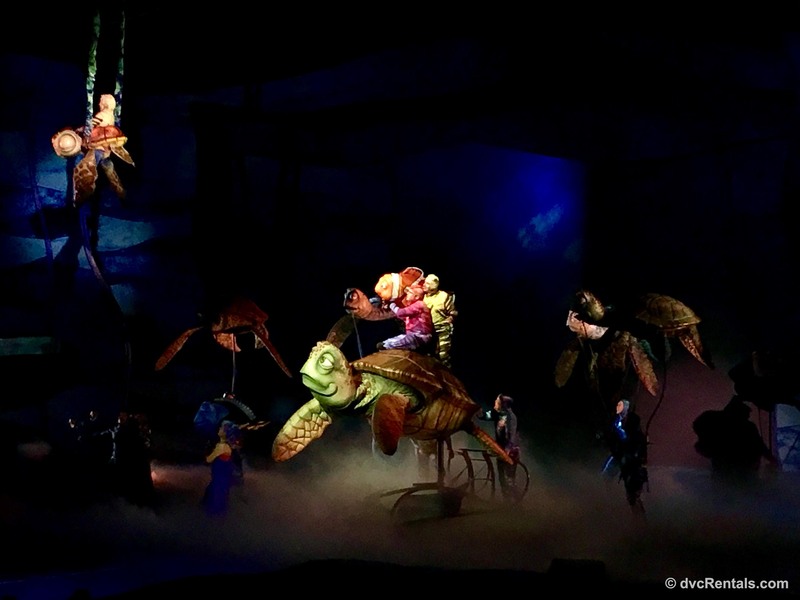 My personal favorites The Festival of the Lion King and Finding Nemo the Musical (both at Animal Kingdom) even offer air conditioning in their respective venues which can’t be beat on a hot day! A great perk of staying at a Walt Disney World resort is that it is very easy to return to your room and rest if you’re not feeling up to touring the parks. On my most recent trip, we were usually back at the resort by lunch time, and having that downtime kept me from pushing myself too much. 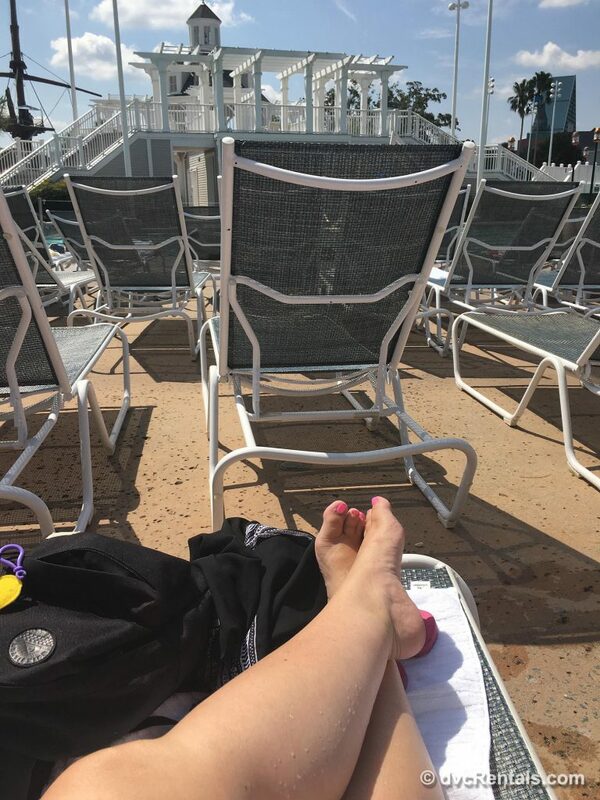 I truly enjoyed indulging in an afternoon nap, lounging by the pool soaking up the sun, or even just sitting on my balcony with my feet up taking in the view. Taking a little rest midday allowed me to experience our evenings in the theme parks without feeling rundown and overwhelmed, and also helped me to enjoy the resort and amenities more! 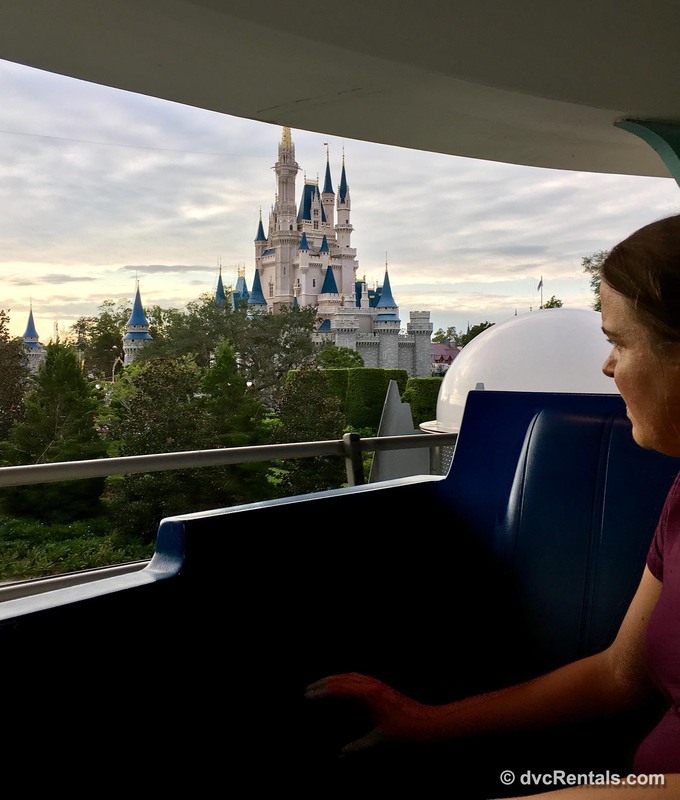 Allowing myself to move at a slower pace meant I may not have gotten to see and do everything sure, but I did fully enjoy the many meals, rides, and attractions that I did get to experience. 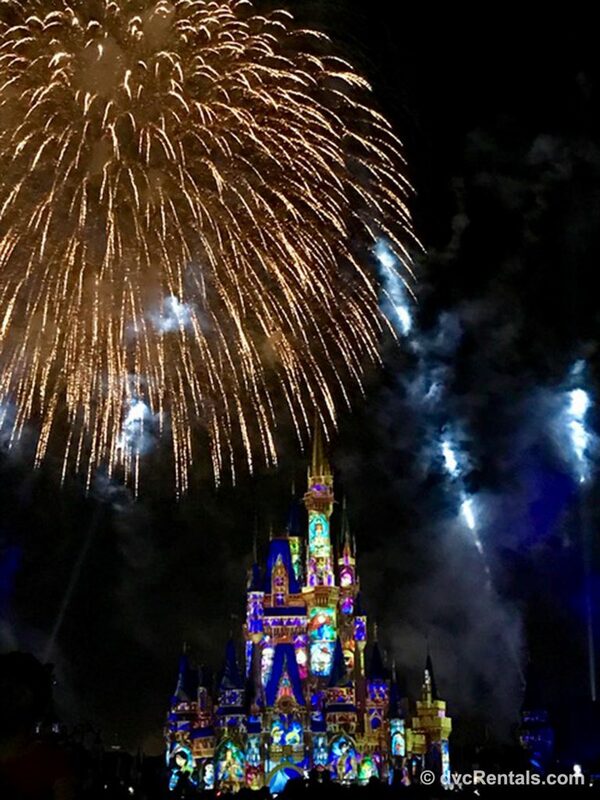 Not over-indulging with food and drink (even during the fabulous Epcot Food and Wine Festival) can definitely be tough on one’s willpower, but can also help you feel a little better. Choosing meal and snack options that are a little more on the healthy side will help to keep you from feeling more sluggish. After one day of sweets, sodas, and meals full of fried food, I knew I couldn’t continue eating that way no matter how delicious it might be! Overdoing it on heavy foods, caffeine and alcohol may ultimately make you feel worse. Something else to keep in mind when you’re walking miles and miles under the hot Florida sun is making sure you are applying (and re-applying) sunscreen and staying hydrated. Sunburn pain and heatstroke aren’t likely going to inspire fond vacation memories when you look back on your trip! Before my most recent trip to Disney I had already been away traveling the week before, and was running around like the Energizer Bunny with lots of late nights and early mornings. About halfway through that trip I had come down with a nasty sore throat, and had developed the chills, cough and congestion to go along with it. I tried to convince myself it was just due to the change in the weather or seasonal allergies, surely, I wasn’t getting sick, I didn’t have time for that! Two days after returning home from that trip, I was packed up to head off to Florida and I brought my bronchitis along with me. I didn’t give myself any time to catch up on rest, or attend to the bug I had caught. While the busy schedule of the week ahead at Disney World was cause for a lot of excitement, I should have scheduled myself a longer break in between vacations. We all know that life can be very very busy, but taking the time to care for yourself before traveling helps you to be at your best once you arrive. Be sure to get those 8 hours of sleep a night, eat right and take your vitamins, and you’ll be ready to conquer Disney World like a champ! Over the years, I have enjoyed many vacations in perfect health, but I have also come home from Walt Disney World with some unwanted souvenirs. I suggest stocking up on hand sanitizer, and sanitizing wipes for tables and handles to use during your trip. These products along with frequent handwashing are going to help ward off any germs or bugs you could potentially pick up. Even if I’m in perfect health before departing for a trip, I usually pack a small pharmacy when I travel, just in case! As I mentioned, I seem to catch a bug from any germ that looks in my direction, so I travel with a variety of medications to get to work against any symptoms that may arise. My stock usually runs the range from Ibuprofen to digestive aids, to cold and allergy pills, plus a first aid kit! You just never know, and in a moment of need, you’ll be happy you spared the room in your suitcase for them. 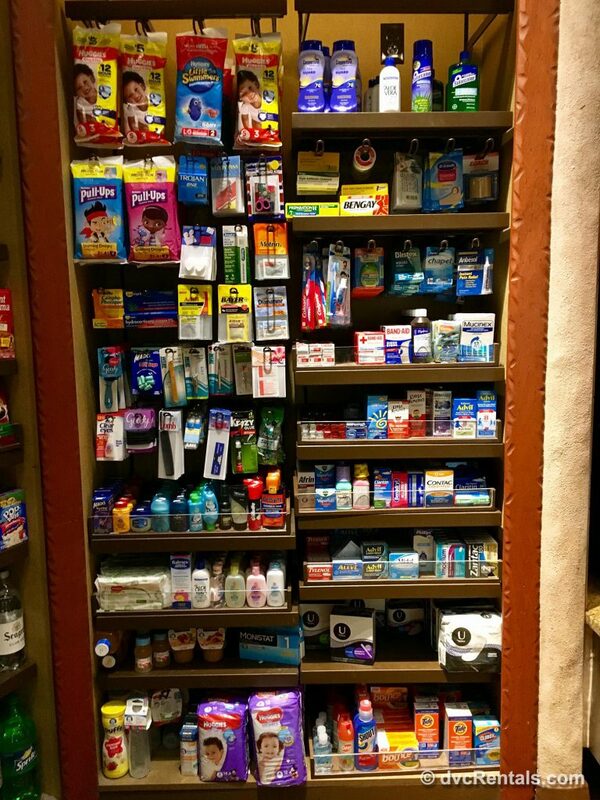 Of course, many Disney resort shops will also have travel size options of many over the counter remedies for guests who may not have expected the need for them. In past experience, I have also had help from Cast Members who have arranged delivery for a pharmacy item they didn’t stock on-property to be delivered to my resort room (for a small additional fee of course), which was very helpful when traveling without a vehicle. First Aid centers are available in the theme parks and the Cast Members there have patched me up a time or two in the past (broken toes at Animal Kingdom – don’t ask!) Disney will also assist you in arranging transportation for offsite Urgent Care if needed. 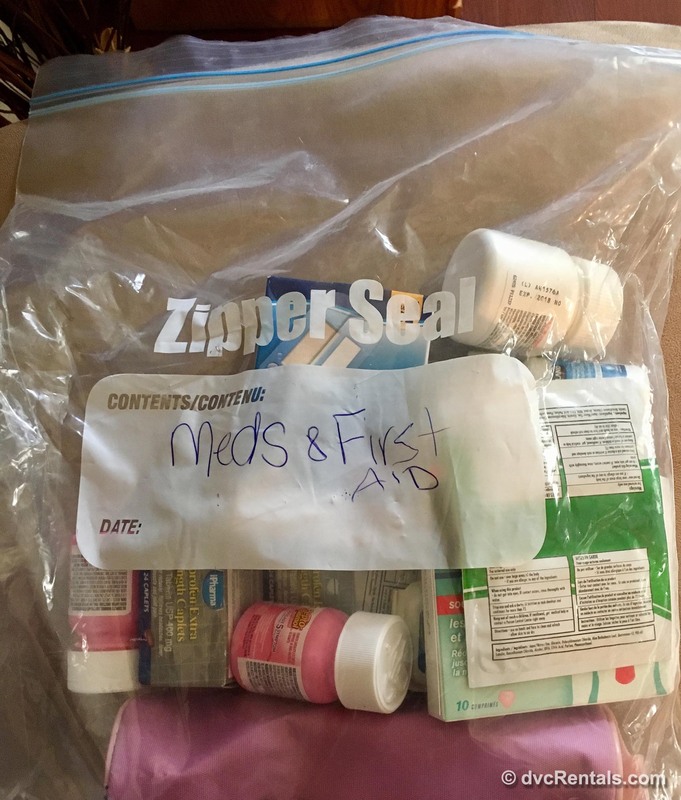 There are some in-room medical services available for Resort guests as well, and Cast Members can assist with storing any medications that need to be refrigerated if your room type doesn’t offer a kitchen or mini-fridge. As someone who works in the travel industry, this is something I highly recommend for everyone! It’s one thing to travel with a cold, but unfortunately there are many other medical issues that could lead to you being unable to make your trip. If an illness or injury prevents you from traveling, travel insurance may help you recover some of the cost spent on a vacation you are unable to take. There are many companies that offer a variety of policies and can help you find the right fit for your needs. After spending your hard-earned dollars on your dream vacation, knowing you’re covered if there is an emergency is a small price to pay. 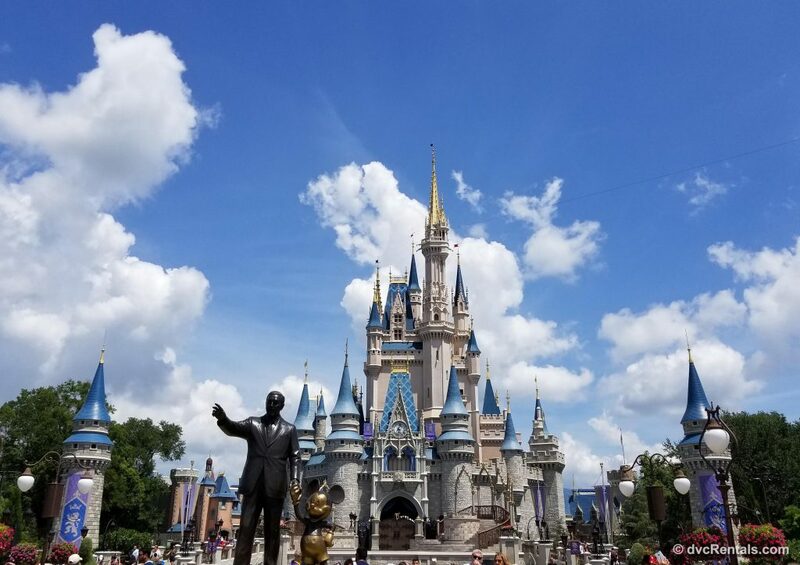 I hope these tips (and of course a little pixie dust) are helpful to you if you’re ever feeling under the weather on your Disney adventures. Have a magical day!